Bye bye, cya, bon voyage! Don’t let the door hit you on the way out, Mr. Barba. That was the message from the NRL and its CEO Todd Greenberg after handing Ben Barba a life ban from the sport on Tuesday. After reviewing CCTV footage of an incident at a Townsville casino, the NRL had little choice but to cut the troubled fullback loose. The incident in question involved Barba’s long-time partner who Barba reportedly assaulted. “These decisions affect people’s livelihoods. They’re big moments and you want to make sure you get them right,” Greenberg said. “This is a guy that now loses his livelihood. 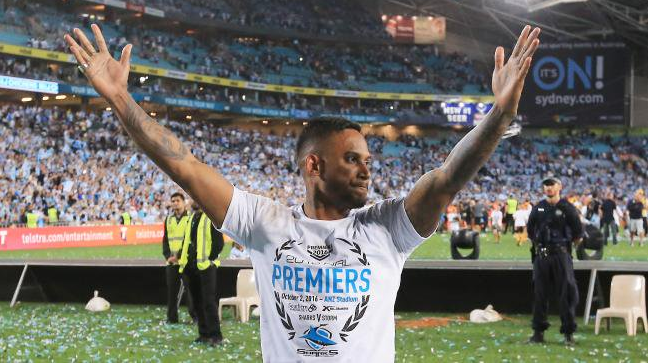 Barba’s record will show he was sacked by three separate NRL clubs.